AKTU/UPTU/UPSEE College Predictor 2019 helps the students to find the colleges on the basis of the rank secured in the examination. Dr. A.P.J. 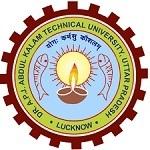 Abdul Kalam Technical University (AKTU) is the main authority which organizes a state level entrance examination. This examination is known as AKTU Exam or Uttar Pradesh State Entrance examination (UPSEE). In this article, students can check the information about AKTU/UPTU/UPSEE 2019 College Predictor. After the result declaration, candidates will calculate their rank as per marks obtained by them. Admissions in various universities and colleges will be based on the cut-off announced by them. Students can predict their colleges through UPTU college predictor by comparing the UPTU rank obtained by them with the UPSEE cut-off released by various institutions and colleges for admissions. The UPSEE College Predictor helps the aspirants to get an idea of most suitable colleges & branches available at their UPSEE rank. Candidates can calculate their rank according to marks scored by the candidates in the exam after the result announcement. Candidates can predict the Institutions/Colleges by comparing the rank through college predictor. UPSEE Cut Off is the minimum marks which consider for admission in UP Colleges. The cut off is the minimum marks which candidates have to secured in the examination to qualify the examination. UPTU/AKTU Rank Predictor helps the students to predict their rank before the result declaration. The rank provides by the rank predictor is not the official rank. The official rank will be declared by the authority. UPSEE Result 2019 will be declared on 4th week of May 2019. Candidates, who are going to appear in the exam, can check the result through online mode. UPSEE counselling will be commenced from 10th June 2019. Candidates those who will score above the cut-off marks can appear in the counselling process. Counselling process commence with document verification of the candidate. After that, the online choice filling will be started. Once the choice filling procedure has completed, the seat allotment result will be announced. The result can be checked by logging into the official website of UPSEE. At last, candidate’s will have to confirm their seats. Three options will be provided viz freeze option, float option and withdraw option. Here, we have provided the last year opening & closing of the colleges and course offered by them. If you have any doubt about AKTU/UPTU/UPSEE 2019 College Predictor, you can leave your comments below. Sir my gen rank is-300,gengl-92,obc-74 and obcgl-22.Can I get IET Lucknow for MBA? I have scored 2189 in general and 922 in gl in aktu 2017.. If not ,then which clg is best for an MBA Aspirant???? My ranking is (GN46206 & GL7121). My rank is 24000 obc. Which collage predict. my rank is GL 5868 which college could be possible for me??? I have score 296 in upsee . Rank is 8070. Will I get good college for cs branch. I have got Gen114 rank in paper 11 for MCA lateral entry.Is there a chance to get government college? Sir i got 156 marks in upsee and my rank gn93920 bc30957 and i belong to obc category ……..will i get computer science engineering in good college……..
My GN rank is 30819 and GL ranks is 4324. What good colleges can I get with the branch Computer Science and Engineering? Sir/madam,i got 3557th rank in bcgl category in upsee entrance examination 2017….sir which college i can get with this rank..?and which subject may i get..?? The cut-off is not released yet. We will update in our article after declaration of it. i got 164 what i do know..? can anyone help me out there..?? Sir, I have got 204 marks in which college can I get CSE?? sir, i have secured 288 marks in upsee exam so can i expect cse in any college of Ghaziabad? Sir please told me that how many candidates(general) are eligible for counselling in upsee. My son is expecting 332 marks. He is eligible for defence quota and want Computer engg from govt college. Which colleges he is likely to get? sir, which is better CSE or ECE. i heard that in PSUs and telecome sector, ECE is in demand. I am a SCGL candidate ,my expected score is 220 ,plz tell me which college I am able to get ? sir my expected marks is 196 and also i’m a SC student and i score above 75%.so is there any chance for government college ?? I have got 400 marks.which branch i can get in hbti kanpur. my expected marks in upsee is 272 can i get the good government college kindly suggest my rank as well. There is nothing left to do now because AKTU allow candidates to make amends in their application forms . Since you’ve missed that there is nothing that can be done . All you can do know is hope for a good private college that provides you your preferred branch . I will expect 404 marks in upsee 2017. Which college will be the best for C.S. B.tech.please guide me. I am not sure about my rank for admission in university. 156.So can I get admission in UPTU. Your rank approx 50000to 70000..
Sir I have scored 212 in upsee exam…. Would you pls predict my college? You might get KIET with a low branch i.e. manufacturing or leather . All other private colleges with low cut-offs are open too . You can check it on this website too . Yor rank will lie in the region of 25k-30k . From the marks you’ve obtained it looks like you’ll get near about 29k rank ! My gn rank in uptu 40000 and bcgl is 1300..so..plz suggest me that ..what im elligiable for gov college in up..if yes then whos..is..? I have not done well in my 12th standard scored just 57% if i score well in aktu what are the chances of getting a college and how will i get a college out of my city. Is MMMU is a government university? ? MMMU is first of all no longer a college that comes under AKTU . Secondly , yes it is recognized under UGC and yes it is a government college !